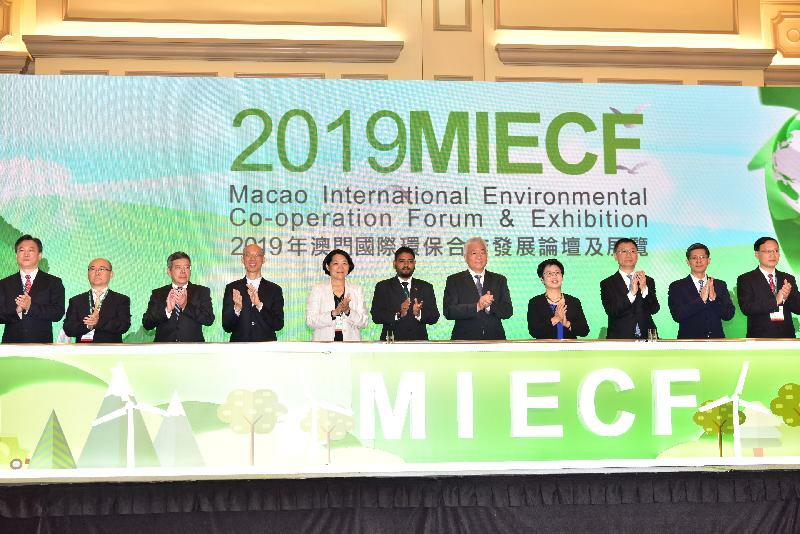 The Secretary for the Environment, Mr Wong Kam-sing, today (March 28) visited Macao, where he attended the 2019 Macao International Environmental Co-operation Forum & Exhibition (MIECF) and the launching ceremony for the Hong Kong/Macao Special Report under the Fourth National Assessment Report on Climate Change. 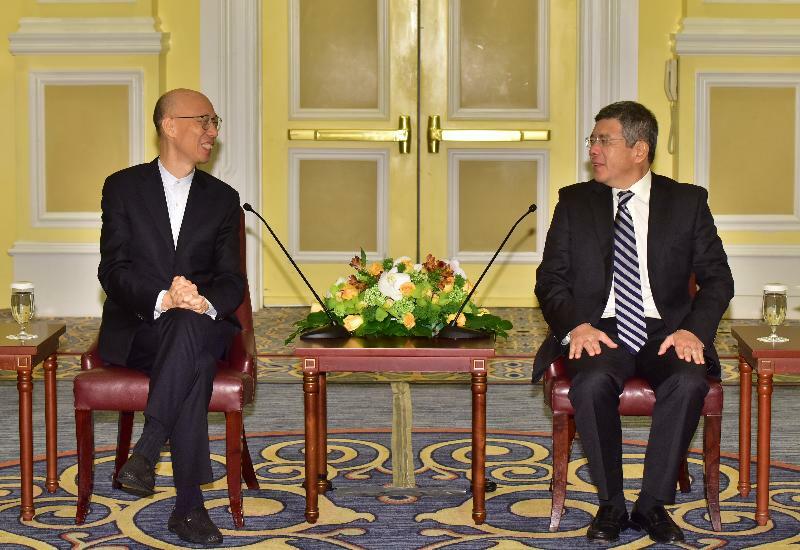 He also exchanged views with officials responsible for environmental protection and energy policy of the Macao Special Administrative Region (SAR). 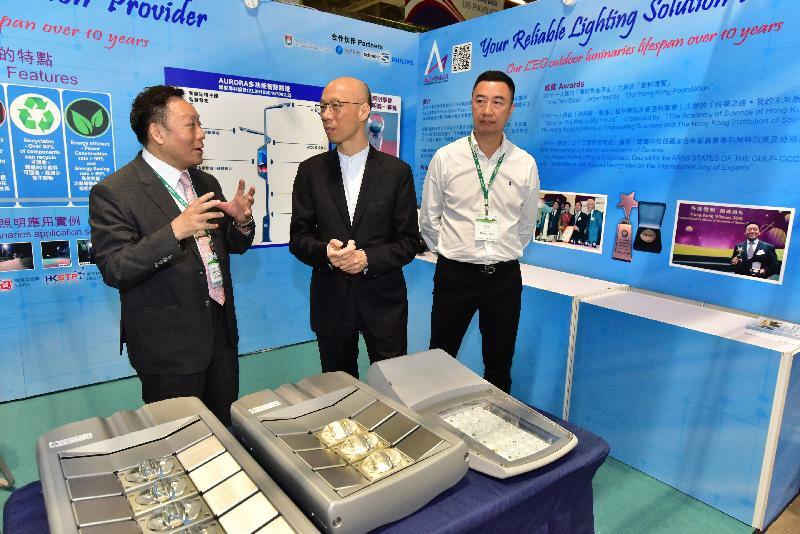 Upon his arrival in the morning, Mr Wong first officiated alongside officials of the Macao SAR Government and other guests at the opening ceremony of the MIECF, and also took the opportunity to tour booths set up by Hong Kong exhibitors at the MIECF. Afterwards, he paid a courtesy call on the Secretary for Transport and Public Works of the Macao SAR, Mr Raimundo Arrais do Rosário, to discuss issues of mutual concern. 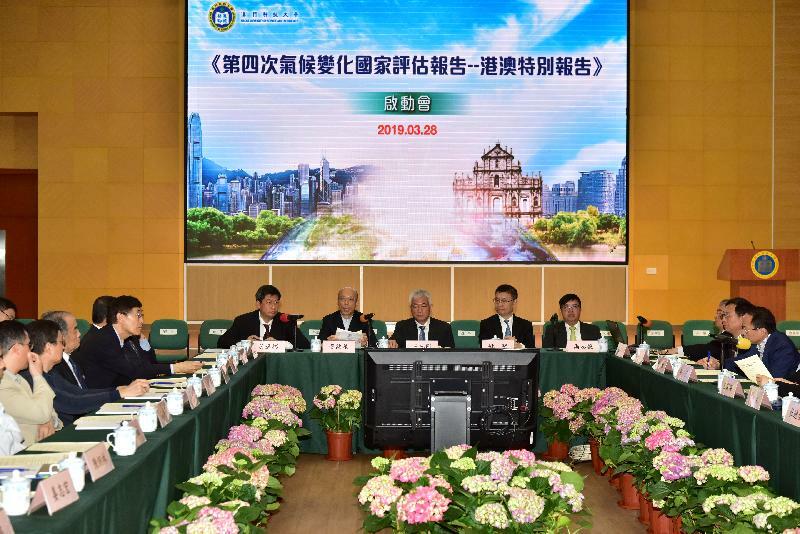 After participating in the official luncheon hosted by the Macao SAR Government for MIECF guests, Mr Wong, together with other officiating guests including the Minister of Science and Technology, Mr Wang Zhigang, attended the launching ceremony for the Hong Kong/Macao Special Report under the Fourth National Assessment Report on Climate Change. The compilation of the National Assessment Report on Climate Change, first published in 2006, has been jointly organised by the Ministry of Science and Technology and related branches of the Central People's Government. A special report for Hong Kong and Macao has been newly added in the Fourth National Assessment Report on Climate Change. 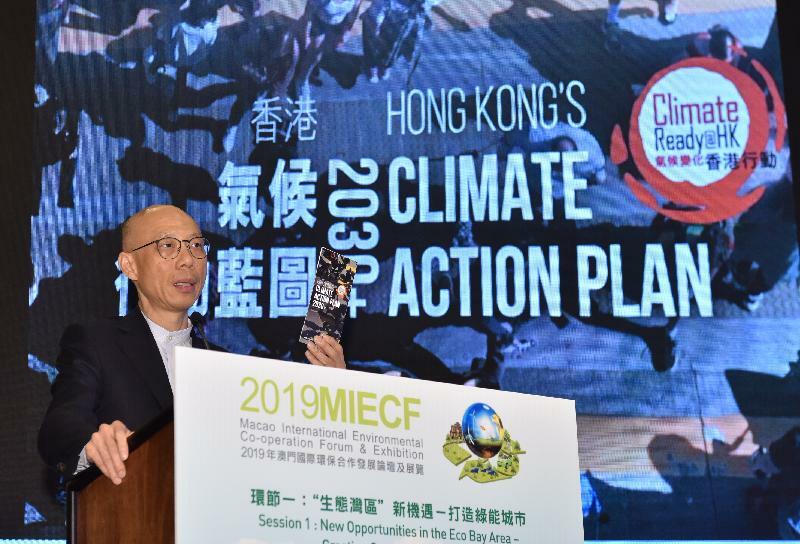 Afterwards, Mr Wong delivered a speech at a Green Forum under the MIECF on its theme "New Opportunities in the Eco Bay Area - Creating Green Energy Cities", illustrating Hong Kong's energy policy. 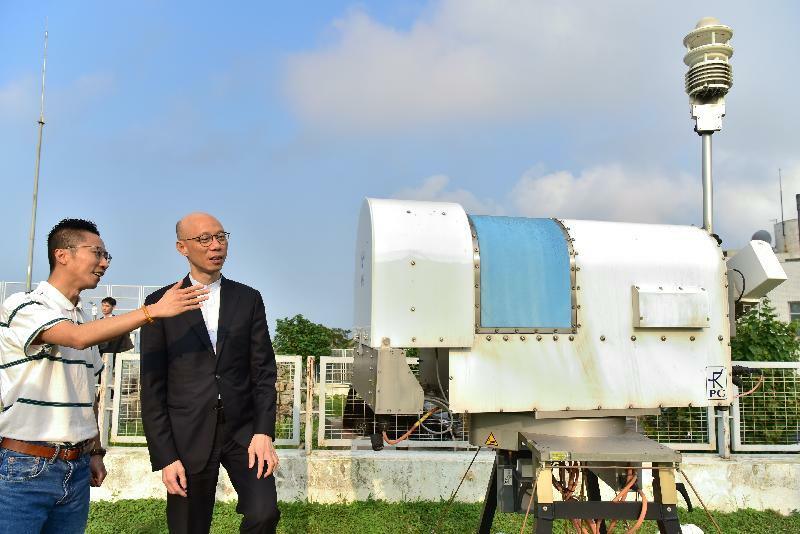 Mr Wong then departed for the Macao Meteorological and Geophysical Bureau, where he exchanged views with officials on decarbonisation policies and experience in combating climate change as well as visited the Aerosol Lidar and Radiometer. 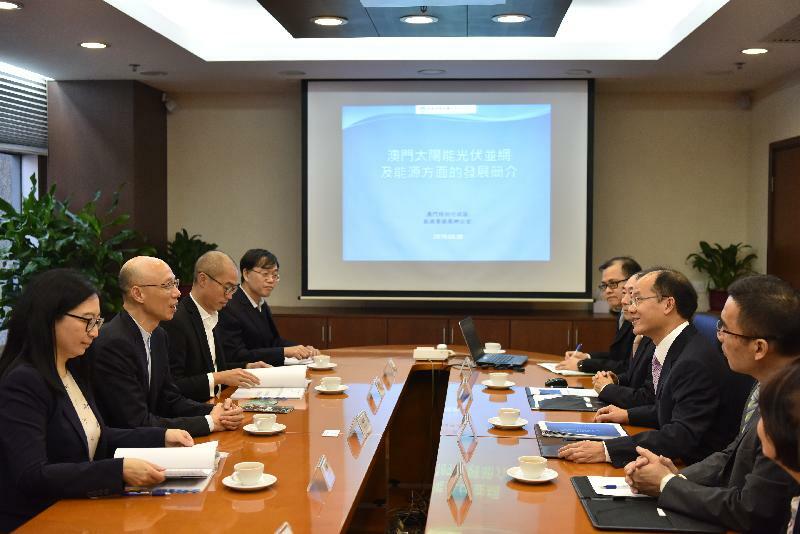 Mr Wong also called on the Office for the Development of the Energy Sector of the Macao SAR and discussed matters related to the Feed-in Tariff and promotion of renewable energy with Macao SAR officials. 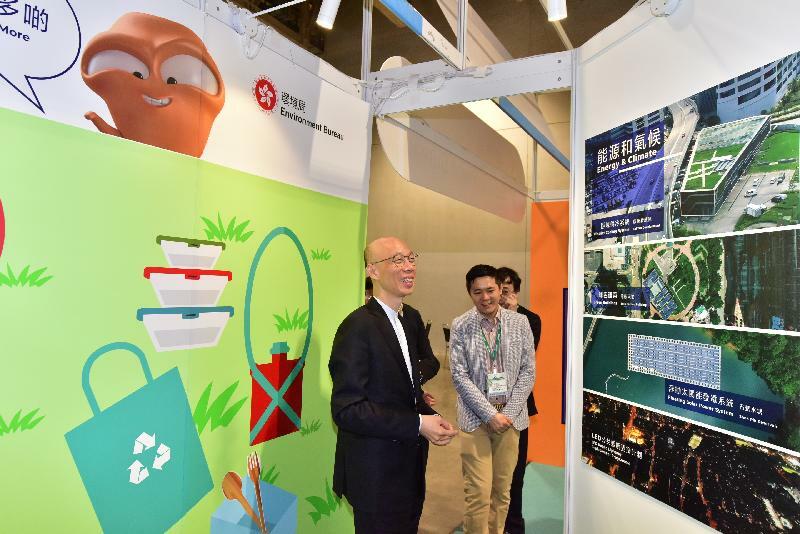 After joining a green dinner to be hosted by the Macao SAR Government in the evening, Mr Wong will conclude his visit and return to Hong Kong.